These extruded aluminum clamps hold up to 20 lbs. of documents firmly in place, creating secure storage for up to 100 sheets of drawings, plans, and designs up to 36” x 48”. Designed for use in conjunction with the Safco vertical storage cabinet (Item # 70016) which also accepts 18”, 24”, and 30” clamps, these clamps come in a package of 6 and feature black nylon thumb screws which allow for easy placement and removal of blueprints and drawings from the clamps, as well as clear plastic label holders that allow for ease of organization. 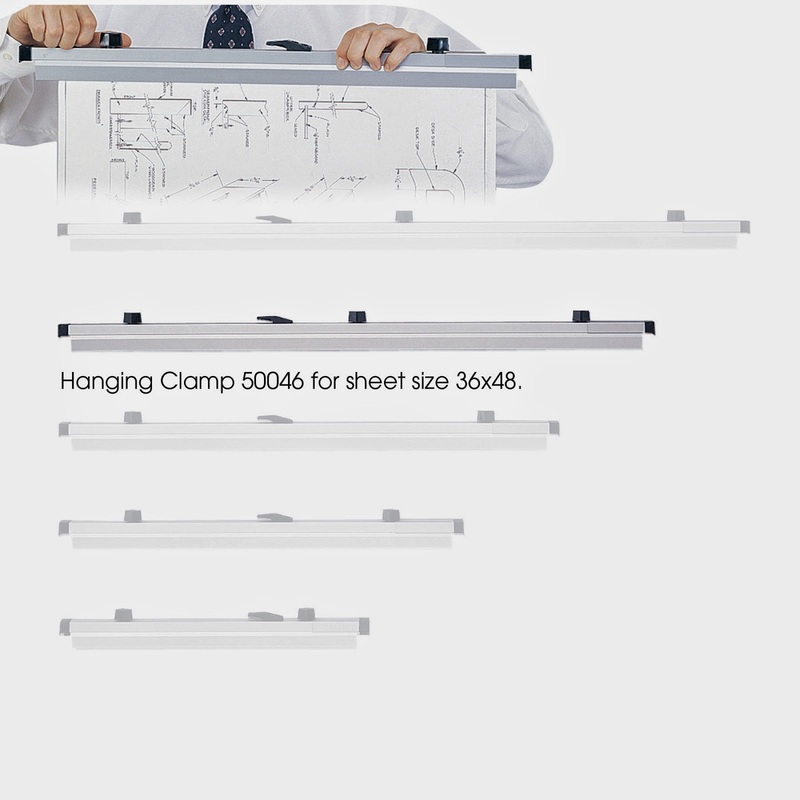 The Safco vertical plan rack utilizing these clamps can accommodate twelve clamps on a suspended track which smoothly glides on steel ball bearings, giving supremely easy access to up to 1200 documents, equivalent to 240 lbs. of paper, which can be locked up behind the steel reinforced door with key lock handle. 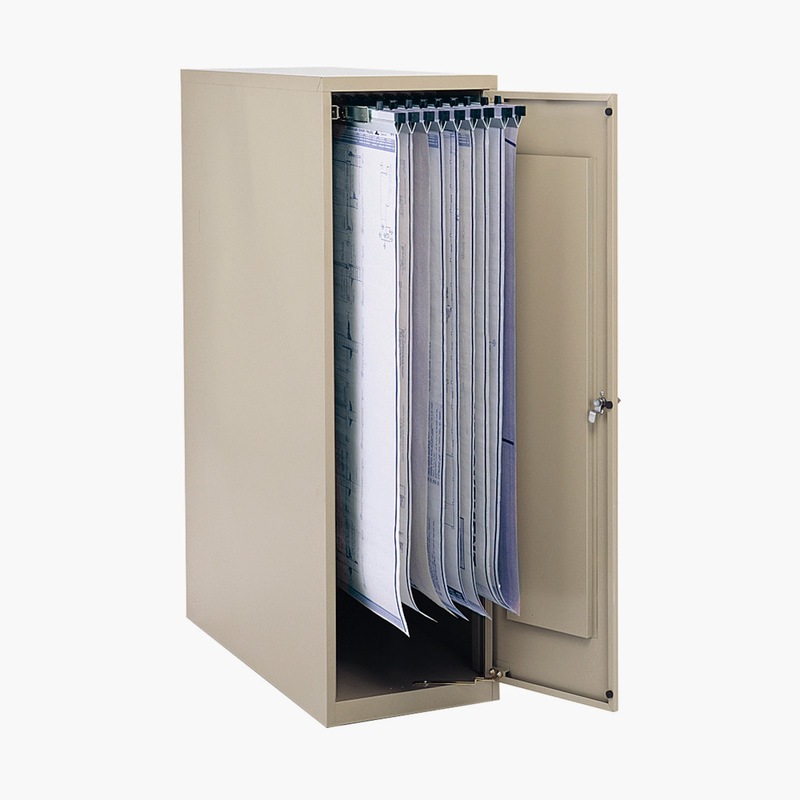 This cabinet securely stores all important plans and drawings while simultaneously allowing easy access through ball bearing tracks and simple removal and replacement of individual clamps by the integrated hanging clip. You can follow the following link to Safco's video for further information.